All about home made food. Fall and winter are great weather for soup , especially this hearty soup . 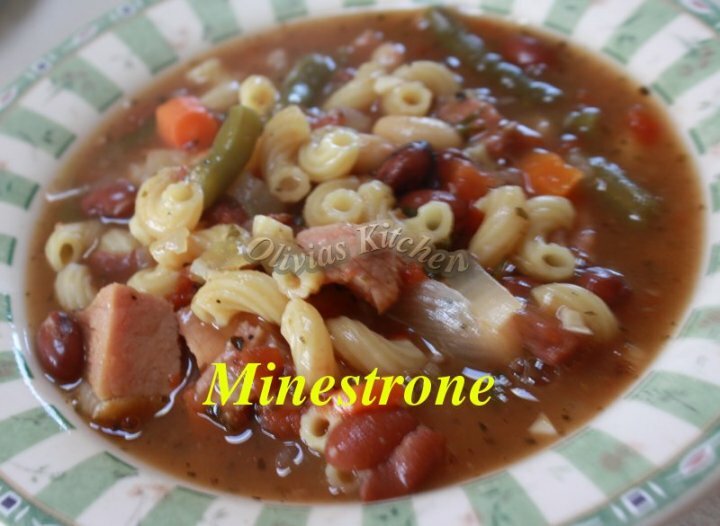 It has everything .. the Italians actually said that when they have a lot of left overs of everything , they always ended up making minestrone soup . 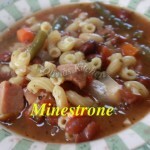 I love minestrone soup , i have never had this soup before until last winter when i decided to give it a try . When i didn’t have too much of leftovers and wanted to make this dish , i usually ended up getting some ham from the deli at the grocery store . But when i happen to have some leftovers from thanksgiving or easter or christmas .. ham .. was always the right choice to go for this soup . The rest are up to you , beans .. zucchini , tomatoes , etc .. It was great !